The Cystic Fibrosis Foundation is offering free name and address labels*. 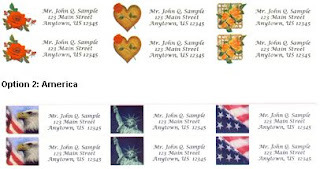 You may choose from two basic designs: "Roses" and "America." To receive a set, please complete the form and indicate your preference.